Doing the usual Panerai searches on Instagram yielded me another diamond in the rough this past year. I found a little known strap maker Tunx Straps and I was immediately drawn to his work. I reached out to him and I was able to get in a couple straps to review for all of our users. 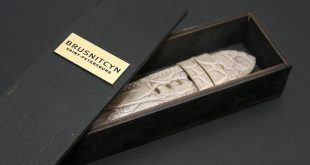 When taking a look at his website (http://tunxstraps.blogspot.com/) you will quickly be drawn in by his beautiful straps, but what keeps you there and gets you a bit more intrigued is the price point of these straps. 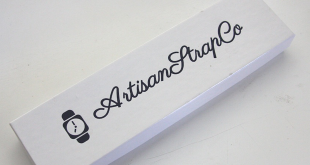 I traded many emails with Tunx and I quickly realized the passion and dedication this strap maker took when making his straps. I waited a few months to finally get these in my hands and they were well worth the wait. The amazing thing is Tunx is another strap maker that is doing this as more of a hobby and not as his full-time job. More and more I am seeing that there are great strap makers overseas that do this more out of passion than necessity. Here is the first review in this series on what Tunx calls his Servalos Vintage strap. When I signed for the package I immediately noticed that the bag felt as if there were two boxes in there and that made me want to open the package up even faster. I was very curious to see how these straps were packaged. Upon opening the outer shipping bag I noticed that I had two beautiful boxes made of wood with the Tunx logo burned into the top and his website on the back. When you slide open the box you will see his handmade strap in a plastic bag sitting on a pillow of cotton. This was the first time that I received a strap in which so much time was taken to really showcase the strap itself. In the past most of the straps I have gotten come in a simple plastic bag. I know it’s probably not that necessary to have it sent this way but it really was a very nice touch at the end of the day. The strap itself is made out of a very dark brown leather that has been aged by Tunx very secret method. This strap is not actually made of vintage leather, but in fact new leather that has been washed, painted, and distressed to give it that beautiful patina and aged look of a vintage strap. The technique he delivers onto this strap deserves nothing but praise. The strap has such a beautiful rough look to it that when it is on the Panerai you can’t help but fall in love with it. Using his aging techniques he has managed to distress the straps holes to look as if they have been cracked over time. When taking a look at the side that houses the buckle you will notice that is a bit thicker than the tail end. The reason for this is that Tunx uses a third layer of leather to add extra cushion and sturdiness to his straps. 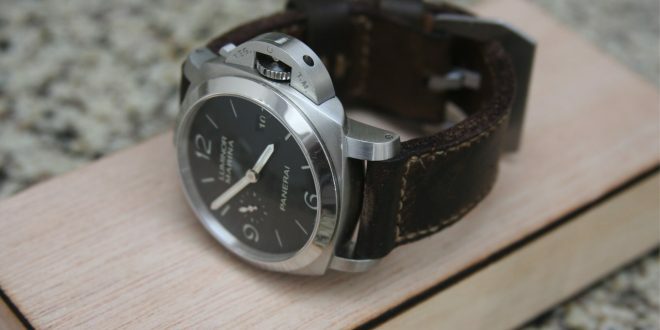 Tunx stated to me that the reason that he doesn’t include tubes is because his straps don’t need them because he uses a tri-fold method sandwich like old vintage panerai straps. This was the first time that I used a strap without tubes and it seemed to work just fine. Although some of us have gotten used to having tubes, so you will be happy to know you have enough room to put in tubes if you feel like it. The edges have a rough unfinished look that matches this strap perfectly. The stitching is done with a contrasting light yellow thread that accent the distress marks on the holes perfectly. Even the stitching looks distressed as if it has been there for a number of years hiding under a slew of old war items. Moving on to the buckle you will notice that he has used the vintage GPF-Mod Buckle that us Paneristis have come to love. Can you believe this is the first one in my collection? Crazy isn’t it? Well I can now cross this one off my list. On the strap you will find one fixed keeper and one floating keeper. 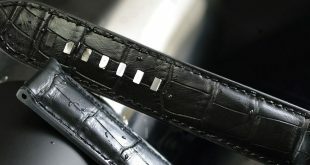 As you can see in the pictures that buckle is implemented a little differently then other strap makers in that there isn’t any stitching right under the buckle to tighten the area right around the buckle. On the other straps that I have the stitching is usually after the fixed keeper where on a Tunx strap it is before the fixed keeper giving it a bit more room to play. I have tried to highlight this in the pictures below so you can get an understanding of what I am referring to. I was very surprised to also find out through my emails with Tunx that the buckle is actually made by hand in house as well. He mentioned that every bit of the straps he makes is done in house, all the way down to all the buckles he uses on his straps. The comfort level of this strap is a 10/10 for me. When you see this from a far you will think that it is a very dry and cracked and not comfortable at all. That couldn’t be the farthest from the truth. You can wear this strap all day and not have a single comfort issue. There is no break in period needed for this strap based on the how the soft and flexible this leather is despite it being two layers thick. A strap like this would probably cost double that of the $140 that Tunx charges for his. It amazes me that for this point he makes not only a quality strap but packages it the way he does. I give Tunx straps two thumbs up on all counts and definitely would recommend them to all my Panerai lovers out there. If you are looking for an economical choice when it comes to straps then definitely check out Tunx. I find the best way to order a strap from Tunx is going to be through email. You can check out his blog to get an idea on pricing and styles but he can give you a custom look if you want something special. If you want one that looks like this exact one please reference the name of the series which is Servalos. This strap looks amazing! I can’t believe this isn’t’ vintage leather. 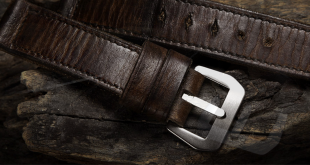 Looks like a lot of work has gone into making this strap look as if it is truly an aged and cracked vintage leather. Yeah, I was taken aback when I found out it wasn’t aged leather. They did a beautiful job on it. Highly recommend it if your in the market for a new strap like this.